Today, Apple released iOS 8, and instead of simply recapping what changed, I’m going to go over where Apple improved the operating system. Apple completely overhauled iOS last year. This year, they simply added in a lot of little things, to make your iPhone or iPad more capable. You can now respond to messages without leaving whatever app you’re in, right from a notification. You can also deal with calendar requests, emails, reminders, and even 3rd-party events, like Facebook statuses. 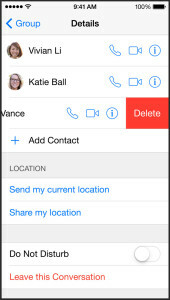 From the multitasking screen (double click on home button), you’re given a row of faces, representing recent conversations, and favorites, so you can quickly chat up or call whoever you’d like, from any app. Shortcuts to make common tasks like flagging, and trashing easy. They haven’t eliminated spam yet. Perhaps the most heavily requested feature from Android was 3rd Party keyboards. Apple is now allowing Third party keyboards, plus something extra: Quicktype. Quicktype offers word suggestions, to help you quickly type out messages. Quicktype adjusts to you. It bases its suggestions on how you write, and where you’re writing (it’s more formal in email than in texts, for example). It even adjusts based on who you’re talking to (i.e your boss, vs your best friend). iCloud Photo Library. 5 gigabytes free. Additional starting at $1 a month. Edits (filters, crops, straightening) syncs to all devices. Photo search – Find photos by searching by date, location, etc. I have photos dating back four years, and on four continents, so this is very exciting for me. Third-party filters. Now, developers can put their filters straight into the Photos app. Time-lapse mode. Finally, my phone can record slow-motion AND timelapses natively. Snapchatification: Apple took some design cues from Snapchat, and made it very easy to send photos, videos, and audio, right from messages, including disappearing photos. Intuitive features: To listen to the new audio messages, just hold your phone to your ear. Improved groups: You can now give your iMessage groups names, and easily add, or remove people, like a facebook group. My favorite feature is “Do-Not-Disturb”, which is codeword for “silence-annoying-people”. You can remove yourself from conversations without leaving a group, and then return to them later. Share your location. 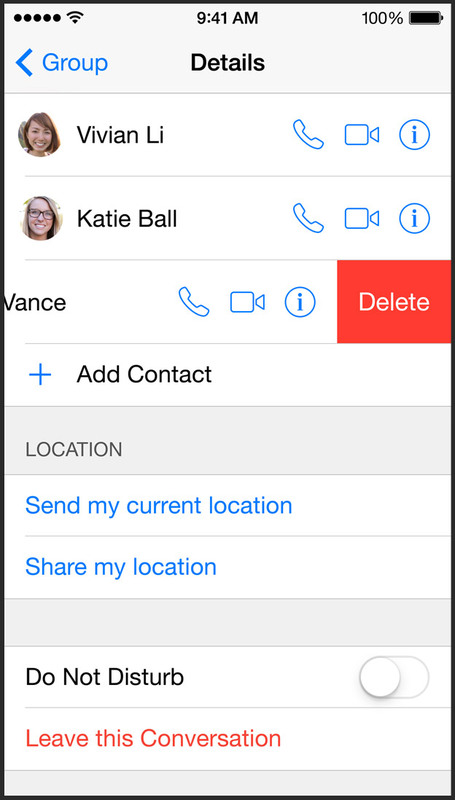 The only time I’d ever use that, would be if I was in an emergency and needed to quickly share my location. An offshoot of Find-My-Friends, Apple’s old geolocation app? You can also send multiple photos at once. That’s big for me, because I send a lot of photos, and I hate having to repeat the same process to put in photos. Apple is getting into the cloud storage business. iCloud Drive allows you to store any document on iCloud, and sync it to all of your devices. It’s very similar to Google Drive (they didn’t get very creative with the naming), and it’s about time this came into existence. Some would say that their smartphone is vital, but now Apple is trying to get your phone to carry your vital signs. Apple’s new health App will bring together fitness data from a variety of apps, and keep track of everything from steps walked, to Cholesterol, plus allergies and medical issues. 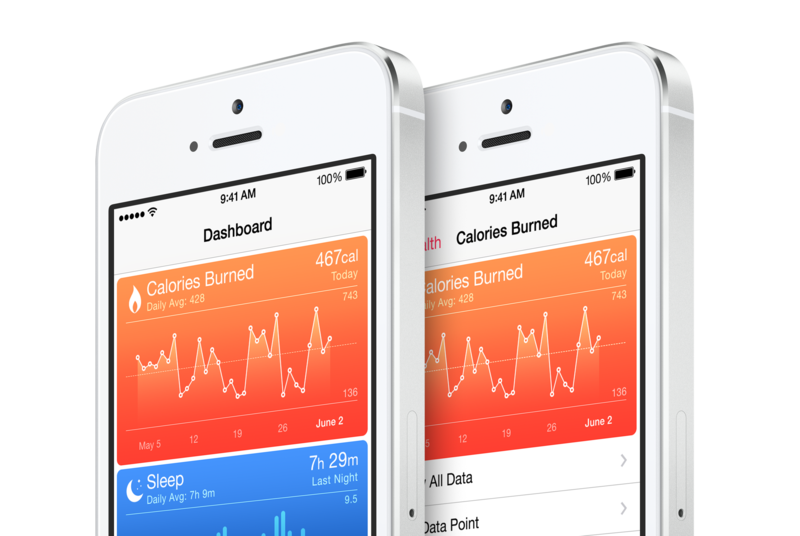 Developers can connect their fitness apps to Health using a kit called Healthkit. Spotlight. It’s great for finding apps, but not much else. Spotlight is getting a major upgrade. First of all, it will be inteligent. It will use context, and location to consider what you’re really looking for. Plus, it can search all kinds of other things now, including for popular websites, apps in the app store, and movie showtimes (and Wikipedia). It even works straight from the Safari search box, which is great, because half the time I need Wikipedia anyway. No, iOS still isn’t as open to developers at Android, but yes, it’s now much closer than ever. Apple released a ton of new awesome developer tools, my favorite being iCloud Cloudkit (basically Parse, specifically for iOS development). They opened up the photos app, the health app, the home, and touch ID to developers. Although that won’t mean much to users at first, within a few months, those new development tools will mean some new, amazing apps that weren’t possible ever before. No, I can’t forget Homekit, which allows you “to control supported devices in your home using Siri. That means you could use your voice to turn on lights or adjust the thermostat“. That’s going to be cool, once apps and tools actually come on the market. iOS 7 arguably made iOS less usable. It introduced a lot of complications. iOS 8 made iOS more simple, and powerful than any previous update. I’m excited to get it onto my phone tonight, so I can tell you all about it.